EDOC offers a variety of classes. All Classes have limited Enrollment. Classes are offered as instructors become available. Contact us if you have interest in a class not on the schedule. Puppy class is designed to start your puppy off on the right foot towards having good manners and being a happy family member. Puppies need to be at least 8 weeks old and have their shots up-to-date as recommended by your Veterinarian. Other topics included will be housebreaking, grooming and nutrition. Very young puppies are at risk of communicable diseases; please consult our veterinarian about your puppy's needs in this setting. This class is for dogs 5 months of age and older who are beginning to learn how to behave at home and away. Lessons concentrate on walking on a loose leash, sitting and staying, down and coming when called. Concerns such as jumping up and allowing others to safely handle the dog will also be discussed as well as addressing specific problems you may be having with your dog. Note: Maximum number of participants eight (8) per class. This class is for dogs who successfully complete the Basic I class and want to continue improving skills. Continued practice in walking on a loose leash, coming when called, sit, down, stand and stay are the core skills of this class. Dogs will practice leaving tempting distractions, stay with a friendly stranger while handler goes out of sight, become comfortable with another person handling his or her body as occurs with a vet or groomer. EDOC will offer an AKC Canine Good Citizen test on the 7th week of this class for those who would like to earn their CGC certificate. Learn the basics of clicker training. A fun way to teach your dog using positive reinforcement. We will start with basic skills such as sit, down and place and move on to tricks and other life skills. Create a happy dog who wants to train by integrating play into your training sessions. Suitable for all dogs over 5 months and if you just want to practice your clicker skills feel free to join us! 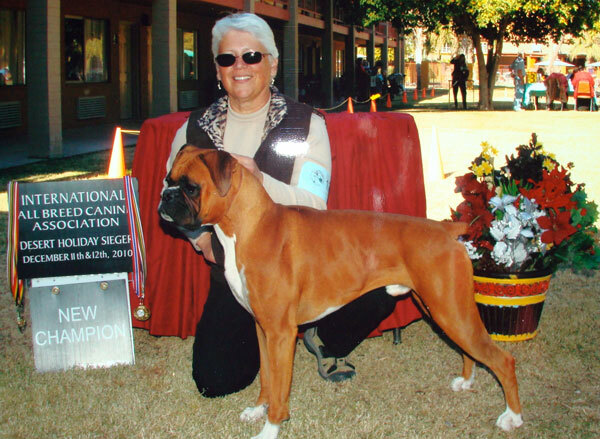 This class is designed to teach the dog and handler the skills needed to qualify for the AKC Beginning Novice (BN) title. Dogs at or over 6 months of age work will work on the skills of heeling on leash, figure 8 on leash, Sit for Exam, Sit Stay and Recall. BN is a bridge between those who have done only Rally and want to take some of those skills to another level of competition. It can also be a starting point for those who may want to continue to traditional obedience after completing Basic II Classes. The Novice competition class is designed to teach the dog and handler the skills needed to qualify for the AKC Companion Dog (CD) title. Dogs at or over 6 months of age work on the skills of recall, heel on a loose leash and heeling off leash, stand for examination, sit and down stays. 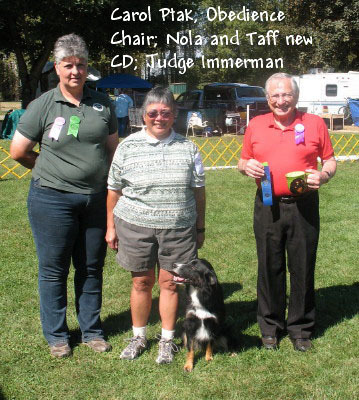 The EDOC Novice class emphasizes teaching the dog focused attention and to work with joy and enthusiasm with the use of positive motivation (verbal praise, food, and toys). We consider the Novice Class the foundation for Open and Utility work. This class is ongoing with dogs at various skill levels. Permission of the instructor is required to join this class. 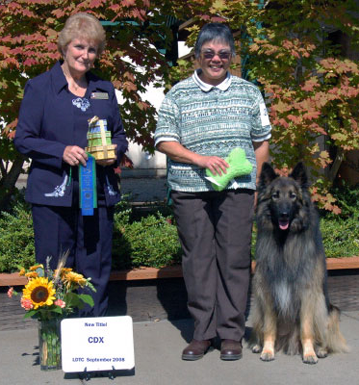 The Open competition class continues the dog and handlers education toward qualifying for the AKC Companion Dog Excellent (CDX) title. In addition to the skills needed for the Novice Class, the down on recall, retrieve on the flat and over the high jump and sits and downs with the handler out of sight plus broad jump, are taught. The Utility competition class continues the dog and handlers education toward qualifying for the AKC Utility Dog (UD) title. New skills added include signals, go-outs, directed jumping, directed retrieve and Scent Discrimination. Rally is a sport in which the dog and handler move together through a course of 10-20 stations. Each station has a sign indicating the obedience skill to be performed. This class uses positive, reward-bases training and will teach you how to train your dog in new skills for this fun sport, building confidence and teamwork between you and your dog. We will focus on attention building games as well as specific foundation skills needed for successful rally competition. Note: This class is not course-based, but rather focuses on the foundation skills needed to execute signs. It is ideal for teams just starting out in Rally, or for teams who haven't been as successful as they would like and for handlers who need a better understanding of foundation skills. The Rally class prepares the dog and handler to compete in AKC Rally. There are levels of titling, Rally Novice, Rally Intermediate, Rally Advanced, Rally Excellent and Rally Master. Rally involves a course of designated stations. Each station has a sign providing instructions regarding the skill that is to be performed. The skills are heeling, sits, downs, brief stays, assorted variations of left, right, and about turns. Rally competition does stress teamwork between the dog and handler. Unlike Obedience, the handler may assist the dog with unlimited communication. It is recommended dogs enrolling in this class have training in obedience skills; willingly responds to being asked to sit, down, stay and will walk with you on a loose leash. EDOC's conformation class is open on a drop in basis on the day and time listed in the current class schedule. This class is for handlers wanting to brush up on handling skills for the conformation show ring. A dog that likes training is easier to train. There are a lot ways to train a dog and this class will cover various motivational methods. We will use Clicker/Marker training to teach shaping,luring and capturing. We will learn how to apply clicker training to teach leash skills and how to incorporate play into our training to further motivate our dog to engage with us, giving us more rewards to choose from. The more tools in your toolbox the more options you will have to teach your dog the skills they need to live with us. Build the foundation for engagement in your dog! We will start the dogs on asphalt and build a scenting foundation based on hard surface tracking, short grass tracking and transitions from hard surface to grass. Corners will be in grass. Article indication will be a fun game. The foundation should help the dog understand scent whether the team’s goal is to work toward a TD (Tracking Dog) or a TDU (Tracking Dog Urban) title or just see what your dog can do with his nose in a “search and rescue” type game. This is a basic course. No experience is necessary. Only a leash and collar are needed for your dog for the first lesson, although a harness is fine if you have it. Bring a positive attitude and a willingness to be out in all kinds of weather! Prerequisite: Session 1 or previous experience. Sandy Ganz & Susan Boyd "Tracking from the Ground Up"
Judy Adler "The Audible Nose"
Ever wondered why some trainers seem to get their dogs to learn performance sports (agility, rally, etch) at a magically fast rate, while you have tried and had limited success? This four week class will help novice trainers learn the basic process of operant conditioning/training – including ways to get comfortable with the process, simple strategies for starting the training process with your dog, how to determine when to "capture" and when to "shape" behaviors, and how to get help when you and your dog get stuck in the training process. Four Week Class and a Prerequisite for "Foundations for Canine Performance Sports Class"
Getting involved in Canine Sports (Obedience, Rally, Agility, Field) can be a life-long hobby and rewarding activity for you AND your dog; but without foundation skills, the training process can become tedious, frustrating, and sometimes stop your careers before they even get started. This session will focus on the basic skills that can make involvement in your sport of choice move along much more quickly! Six Week Class. (Must have attended "The Importance of Positive Training in Canine Performance Sports"
A dog that likes training is easier to train. There are a lot ways to train a dog and this class will cover various motivational methods. We will use Clicker/Marker training to teach shaping, luring and capturing. We will learn how to apply clicker training to teach leash skills and how to incorporate play into our training to further motivate our dog to engage with us, giving us more rewards to choose from. The more tools in your toolbox the more options you will have to teach your dog the skills they need to live with us. Build the foundation for engagement in your dog! This class is for all dogs and handlers interested in training for the new AKC title of Trick Dog or anyone that just wants to learn some fun tricks with their dog. If your dog has their CGC, then they are already partly there and only need to learn 5 more tricks to earn their Novice Trick Dog Title. Scent Work is a fun activity for you and your dog. All dogs are welcome, old dogs, young dogs, dogs with handicaps. You may train to enter trials to earn titles or train just to have fun with your dog. Your dog will learn to locate odors and communicate to you that he has found it. Scent work does not require previous training, stimulates and mentally challenges your dog, it can be done anywhere and anytime, great activity for dogs that are not able to run around, great for handlers that may be mobility challenged, exciting to watch your dog use his natural abilities, builds your dog's confidence as they always succeed, minimal to no interaction with other dogs or people, no expensive equipment needed. This class will focus on beginning basic agility skills for both dogs and handlers, using a clicker to train the behaviors where appropriate. 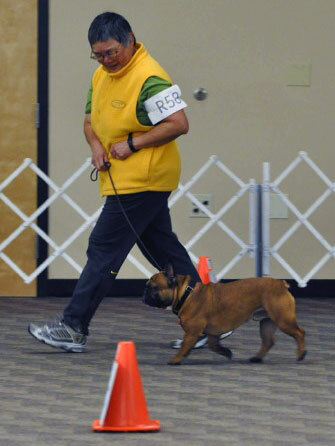 The skills in many cases are useful or adaptable for obedience and rally obedience. It would be good to consider this a survey course, as mastering the skills necessary for successful competition takes quite a bit longer than six weeks. Participants should bring a clicker, a hungry dog and more small-sized, high-value treats than they believe they could possibly use. All EDOC classes are $100 and are 6 weeks long unless otherwise noted in the class details. NO DOGS 1st night of class. Note: This will be a 6 week class.